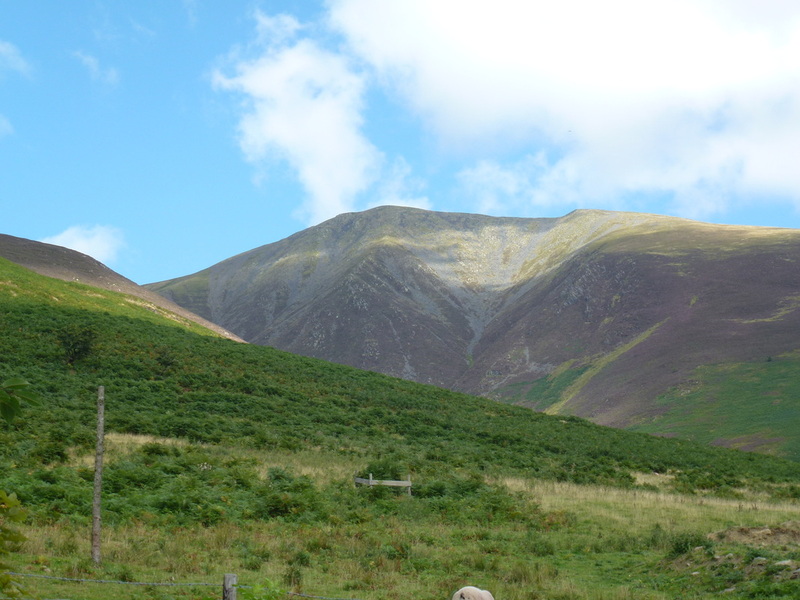 Our first full day back in the Lakes since May and with the weather glorious we headed over to Millbeck near Keswick to walk up Dodd, Carl Side, Long Side and Ullock Pike. We have tried to do this walk a number of times but like so many big walks in the area it is best done with good visibility and sometimes those days have been hard to come by! A hard walk - it felt longer than just under 7 miles! The parking space in Millbeck provides great views over to the North Western Fells and Derwent Water. From the car park the walk passes through Lyzzick Wood up to the col of Long Doors and the Forest Road. A path then winds its way up to the summit of Dodd which gives great views over Bassenthwaite Lake and Derwent Water. From Dodd we retraced our steps back to Long Doors and then made the long trudge up to the summit of Carl Side where there opens up a superb view of the scree slope path up to Skiddaw. There now begins a fantastic ridge walk over Long Side and down to Ullock Pike which again gives great views over Bassenthwaite Lake. 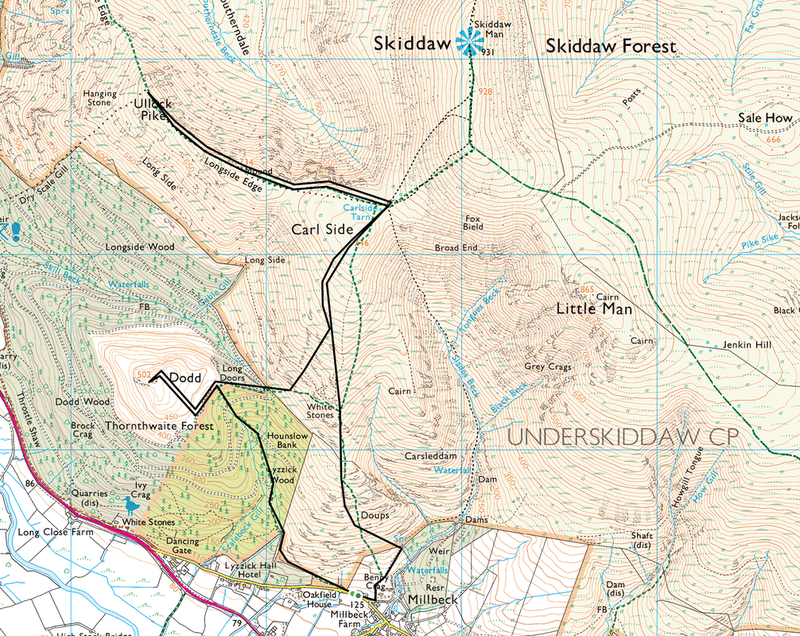 Returning the same way to Carl Side, we made the knee crunching descent down to White Stones and Doups to Millbeck. In our sights all the way down were two ladies who we found out had been up Skiddaw and had come down over Carl Side. They were clearly tired and were hoping to catch a bus back to Keswick. On being told that we did not think there were any buses that late in the day, we could now see how knackered they were therefore gave them a lift back to Keswick. It's nice to think someone would do that for us if the need ever arose. This was one of the best days out we have had in this beautiful area and we will definitely do this walk again and maybe add Skiddaw in also. Lovely supper in The Horse & Farrier in Threlkeld rounded off a great day. Walking along the ridge to Ullock Pike. Bassenthwaite Lake is to the left.